Did you know that the best time to get your spine checked by a chiropractor is when you’re an infant? Our office has a doctor, Dr. Lisa Przybysz, who works specifically with children. Interference to the nervous system caused by misalignments in the spine (subluxations) can start as early as the day we are born. The birthing process, although perfectly normal and natural, can put a lot of pressure on the tiny spine and nervous system of your little bundle of joy. Cesarean sections, vacuum and forceps delivery, and even the simple “tugging” of the baby’s head and spine by the doctor during the pushing phase can complicate this matter even further. Starting and continuing life without nerve interference is extremely important to the health and wellness of your child. The nervous system is needed for proper growth, development and immune function of children. If it isn’t functioning as optimally as possible, then your child can’t function as optimally as they were meant to function. Almost all adult spinal problems begin in early childhood. Aside from the birth process, what else can cause subluxations? Falls and accidents are a big contributor. The National Safety Council reports in a study of 536 children that 50% had fallen head first from a high place in the first year of life. When your baby starts cruising or walking short distances from object to object, they often fall. In fact, the average cruising toddler falls 38 times a day. If you or I fell 38 times a day, imagine the number of bruises we would have. Although children are smaller and more flexible than your average adult, all of these falls add up and can lead to improper development of the spine. Other contributing factors are backpack use, school desks, improper posture, car accidents and sporting accidents, just to name a few. So what is the next step if we discover that your child has a subluxation? Chiropractic care is tailored specifically to every child and changes depending on what stage of development they are in. The amount of force used to adjust an infant and child is very minimal compared to that used on an adult. For young infants, the amount of pressure is as light as a finger touch. The adjustments are very slow, controlled, and gentle. Most of the children I have worked with, including my own daughter, find adjustments to be very soothing. Many kids see it as a game as well and find the process fun. In many cases, infants will even peacefully sleep through their adjustments. Most parents report that their children enjoy their chiropractic adjustments and look forward to subsequent visits. They also report that their children experience a greater level of health while under regular chiropractic care. Chiropractors are uniquely qualified in the detection of nerve interference or subluxations. Both doctors in our office are experienced and skilled in the gentle, specific, adjustments that infants, toddlers and children need. Many adults suffer throughout their lifetime with problems that could have been avoided by seeking chiropractic care as children or teenagers. Chiropractic care for you and your children offers your family a solid foundation for wellness. Throughout pregnancy, birth, and childhood all the way to adulthood the chiropractic lifestyle offers choices and benefits for your greater health and well-being. Don’t wait until your child develops a problem, help them grow up straight and strong with the proper chiropractic care they need. 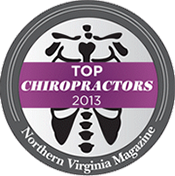 Call our Fairfax chiropractic office today and ask for Dr. Lisa!